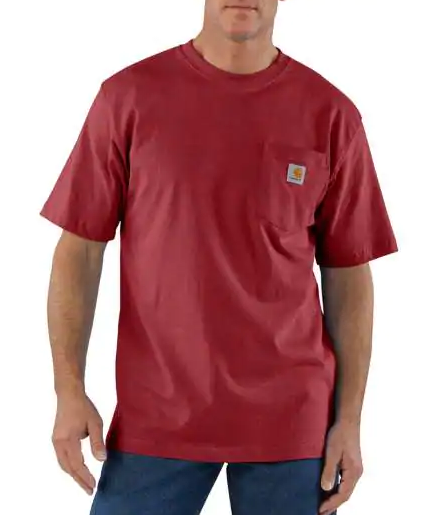 Men's original fit, heavyweight cotton t-shirt - a best-selling work day basic. Featuring long-lasting, heavyweight 6.75-ounce, 100% cotton jersey knit remains durable & comfortable; Rib-knit crewneck that holds its shape throughout the workday; Tagless neck label; and more. 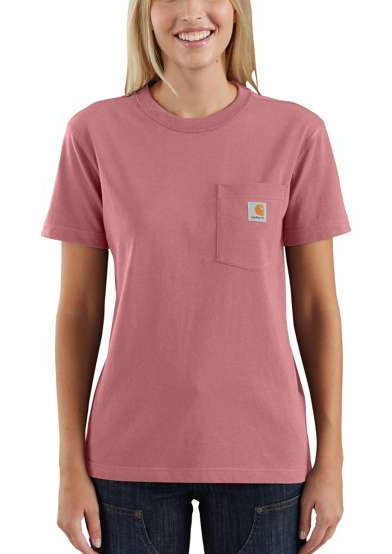 Women's original-fit t-shirt made with heavyweight cotton. Featuring 6.75-ounce, 100% cotton jersey and rib-knit crewneck that holds its shape throughout the workday. Left-chest pocket with sewn-on Carhartt label. Tagless neck label for a smooth feel. 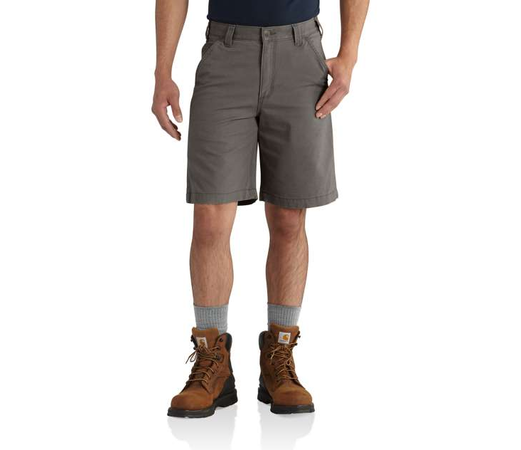 Men's 10" shorts built to move. Features 8-ounce, 98% cotton / 2% spandex canvas; Rugged Flex stretch technology; comfortable fit through the seat and thigh; reinforced front slash pockets; right-leg cell phone pocket; strong sewn-on-seam belt loops. 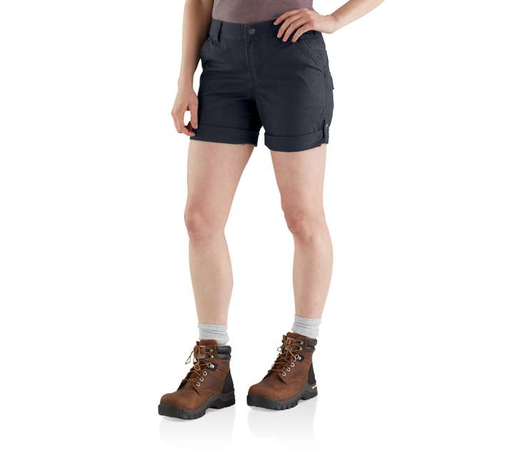 Women's classic 9-inch work shorts that are built to move. Mid-rise sits just below the waist with a comfortable hip and thigh.Features 6-ounce, 64% cotton / 36% polyester ripstop; Rugged Flex® stretch technology; Stain Breaker® technology; rib-knit waist; straight waistband to prvent gap in the back; durable belt loop construction; utility band; and more. 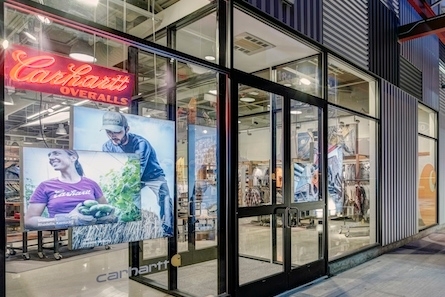 Carhartt opened its first store in Wisconsin on April 22, 2015, to serve a community of hardworking construction, electrical, and gas workers. Providing our hardworking neighbors with both men’s and women’s Carhartt iconic gear, flame-resistant workwear, scrubs, big and tall products, and even kid’s apparel. Our store is located in a newly developed area at 11500 W. Burleigh St. in Wauwatosa, approximately 15 minutes from downtown Milwaukee off US-45. Local attractions include Miller Park, Milwaukee County Zoo, and Mayfair Collection. Stop in the next time you’re in the area to see for yourself how much we value our commitment to the working class and to making new friends each and every day. 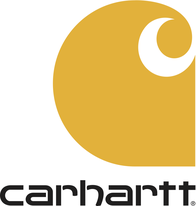 ©2018 Carhartt. All rights reserved.